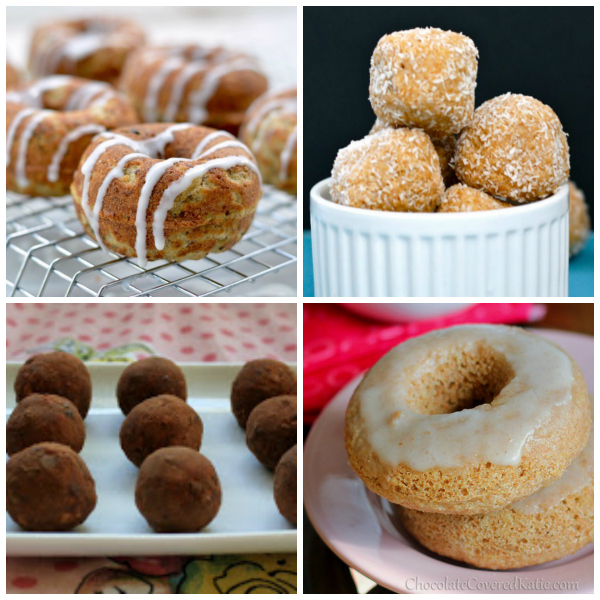 In celebration of National Doughnut Day, I’ve gathered gluten-free donut recipes from my own recipe collection as well as recipes from food writers around the web. 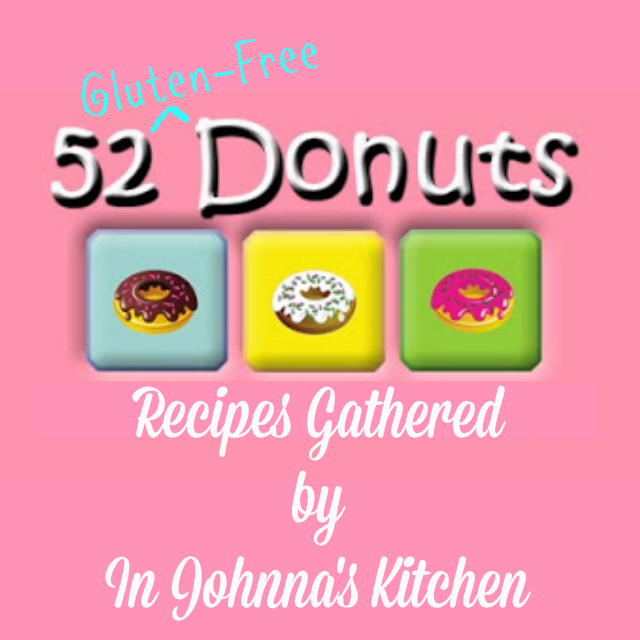 52 Gluten-Free Donuts. Can you imagine? I hope you can imagine 52 gluten-free donuts. 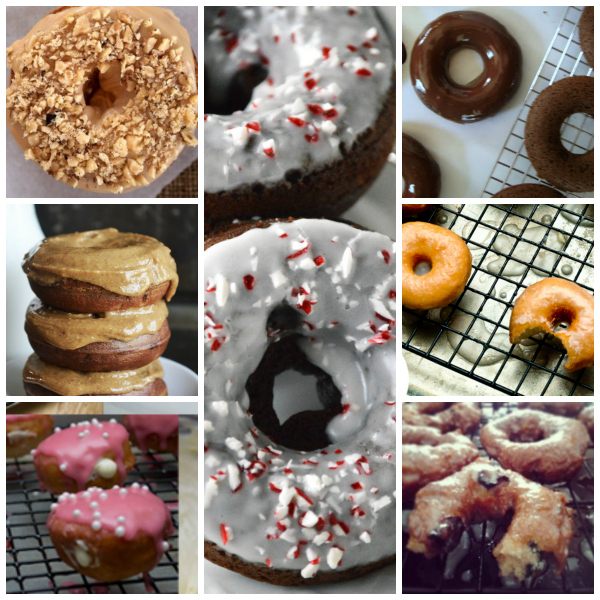 My site started as a blog about visiting 52 donut shops in a year, one each week. Mid-way, I had to part ways with gluten at the urging of my doctor. I can remember thinking there would never be good donuts again. Sure, there were frozen chunks of something that resembled a donut in the “special” section of the grocery store, but it was unusual to find a gluten-free donut that soothed the craving for a yeasty ring of dough or a fruit-laden fritter redolent with sugar glaze. Those days are thankfully gone. 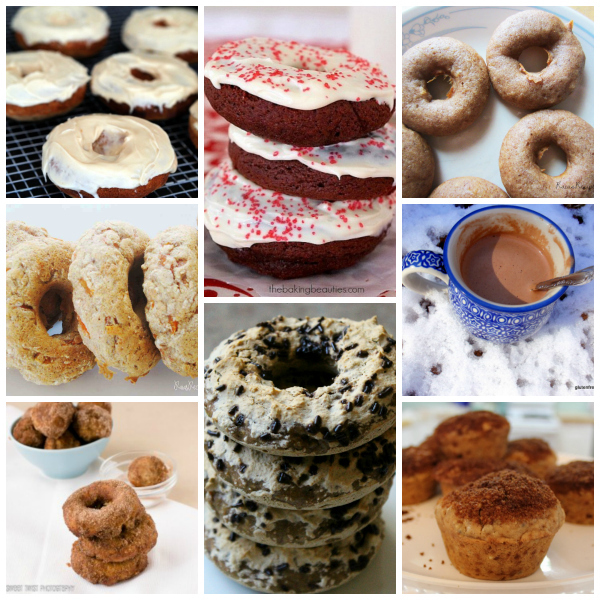 Now there are many gluten-free donut options every bit as good as any out there. 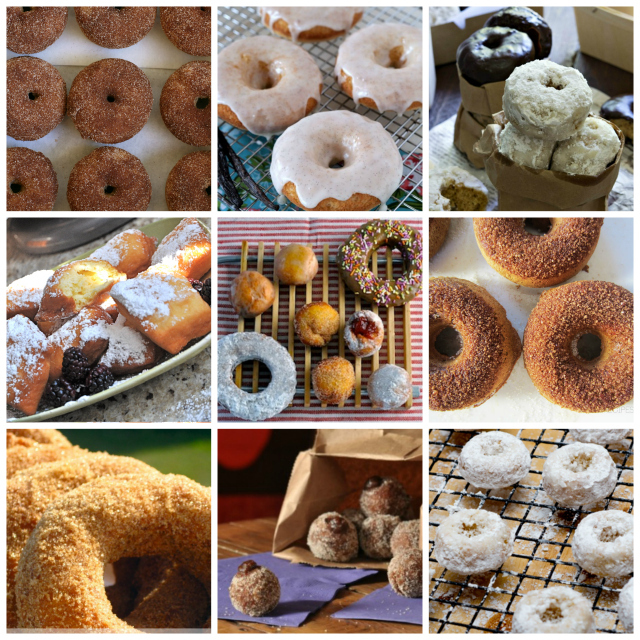 Today, in honor of National Doughnut Day, I’m sharing 52 recipes that fit the bill. 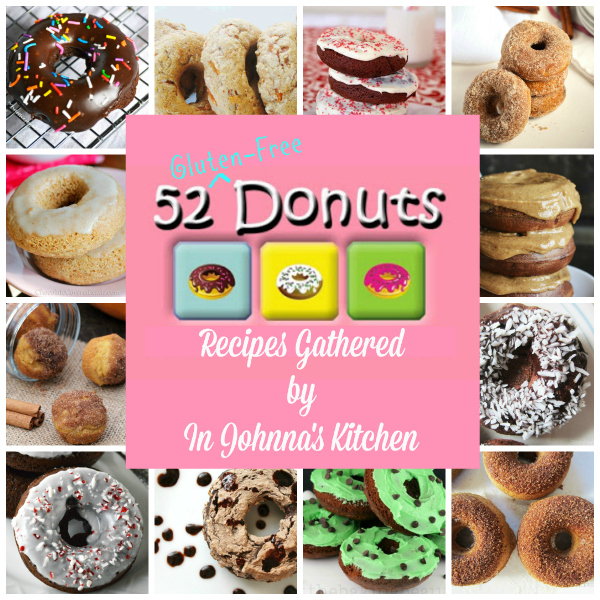 Quite a few of the donuts in this gathering of recipes are baked. A donut pan will come in handy. They come in two sizes, regular and mini. I like having two of the regular pans so I can bake a full dozen at a time. There is one more donut pan, the twist or bar pan. It is used in only one recipe in this post, my lemon pistachio donuts. I like this pan for making donuts that look like a twist or that require a filling, like a fancy long john. Please be sure to click through to visit each of the talented food writers who shared their recipes in this gathering of deliciousness. We must support these folks so they can keep developing recipes that make holidays like National Doughnut Day a possibility for all of us! Donut and Doughnut are used interchangeably in this post. I have used the spelling preferred by each recipe’s creator. All recipes are gluten free. I have added in additional notations to help you find recipes that work for you. DF = dairy free. EF = egg free. RSF = refined sugar free. V = vegan. How about we start with chocolate? You like chocolate donuts, right? Perhaps you prefer a classic donut? Whether that means a fried yeast doughnut to you or an old fashioned, we’ve got you covered there, too! 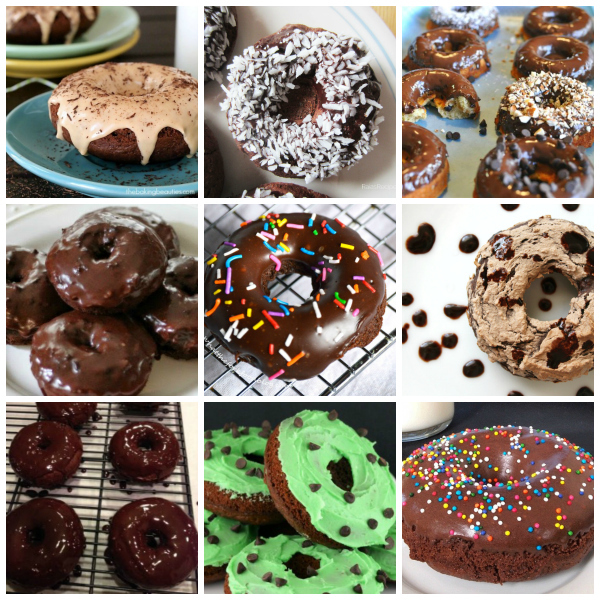 Maybe you are looking for a healthy donut options? That’s a thing, you know, healthy donuts. Do you prefer a fun twist on classic flavors? Something beyond the basics? How about these? I hope you’ve found your favorite donut here and will join us in celebrating National Doughnut Day. A BIG thanks to all of the fabulously talented food writers who have shared their recipes in this collection. Please be sure to visit them for more goodness beyond donuts. 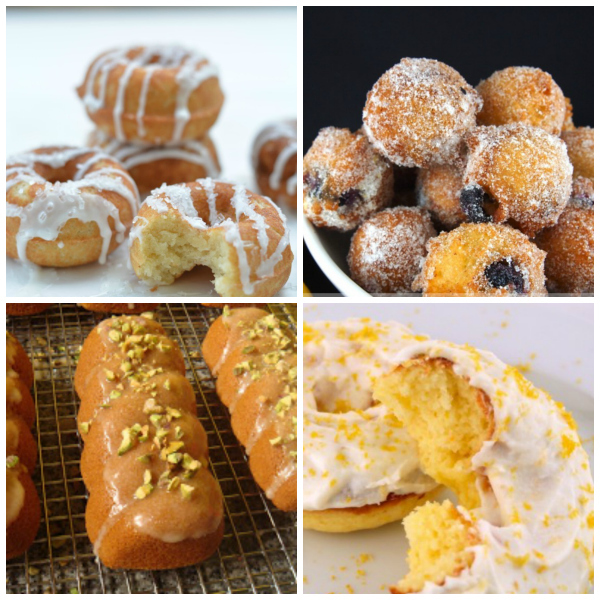 If you are a Pinterest fan, you’ll also find each of these recipes in my Pinterest board, National Gluten-Free Doughnut Day 2015. Just click the image below and then follow the board. Full Disclosure: This post contains affiliate links. Should you make a purchase after clicking on a link, I may make a small commission. I use affiliate links in hopes of making a few pennies to offset the cost of maintaining this website and continuing to provide recipes, dining suggestions and travel tips at no charge to you. I’m grateful for your support! You can read my full disclosure policy here. Wow, wow, WOW!!!! 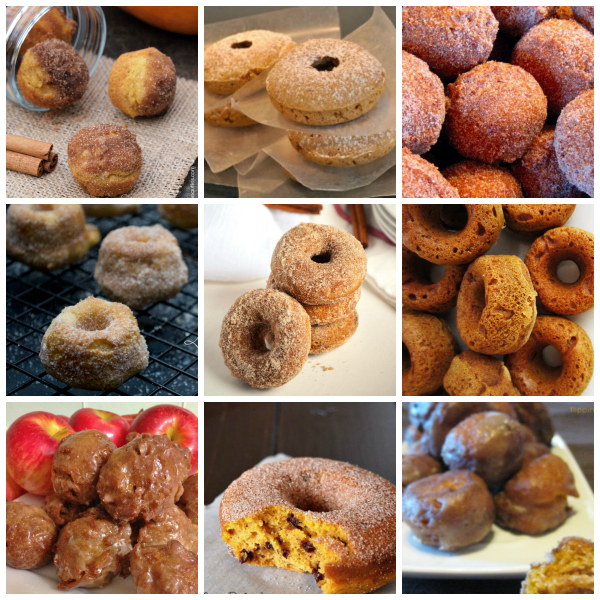 Wishing I could pull one or two–or 52!–donuts out of the screen right now and have a little sampling!! 😉 Thanks for including my donut hot chocolate, Johnna. It’s been so cold here that I’ve been thinking about that recipe. I’d gladly warm up the oven for any of these babies though! What a great resource this post will be for all year long! WOW!!! They all look so good! I would love to eat one of each! Me, too! Oh, what a party that would be! Going to eat all the donuts now!! Omg this list is fantastic! Brilliant round up I could literally eat them all.